If you are looking for a perfect gift for others or for yourself, the most important thing that you should consider is the quality. Handmade items are not only sentimental and long-lasting but also surprising and beneficial. If you are looking for some reasons as to why you should pursue having a handmade one, then this is it! Handmade items basically need less energy and natural resources in order to be produced compared those that are made from a mass production assembly line. Also, mass-produced items are made overseas, requiring shipping in order to get to the consumer. This, then, means that a large amount of oil will be used, increasing carbon emissions and escalating risks for waste spills in the sea. And since handmade items do not need mass-production processes, transportation in large scale isn’t necessary. Purchasing handmade products not only benefit the consumer, but also the economy. This creates jobs and gives living for many indigenous people of the Philippines. Handmade goods are commonly made by small businesses, which is good for everyone. According to studies, shifting at least 10 percent of consumer spending would make hundreds of new job opportunities and millions in local wages. 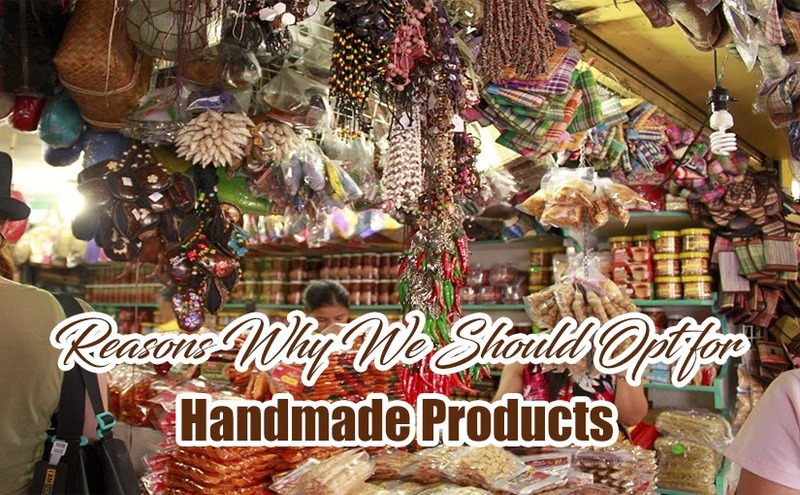 When you buy Philippine handmade products, you certainly know that your money is forwarded to a local company that produces items with integrity and are invaluable to consumers. The manufacturers and sellers of these products are definitely making sure that they give you products with the highest quality with the best effort put. As you own one of the many handmade products around, you are also owning and taking care of the sweat and hard work of each Filipino that works for it.